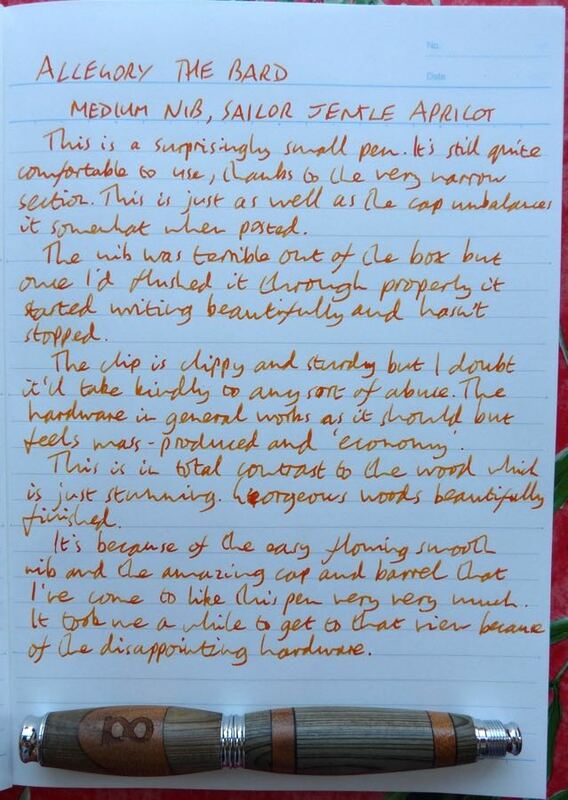 Allegory The Bard Fountain Pen Review – Pens! Paper! Pencils! 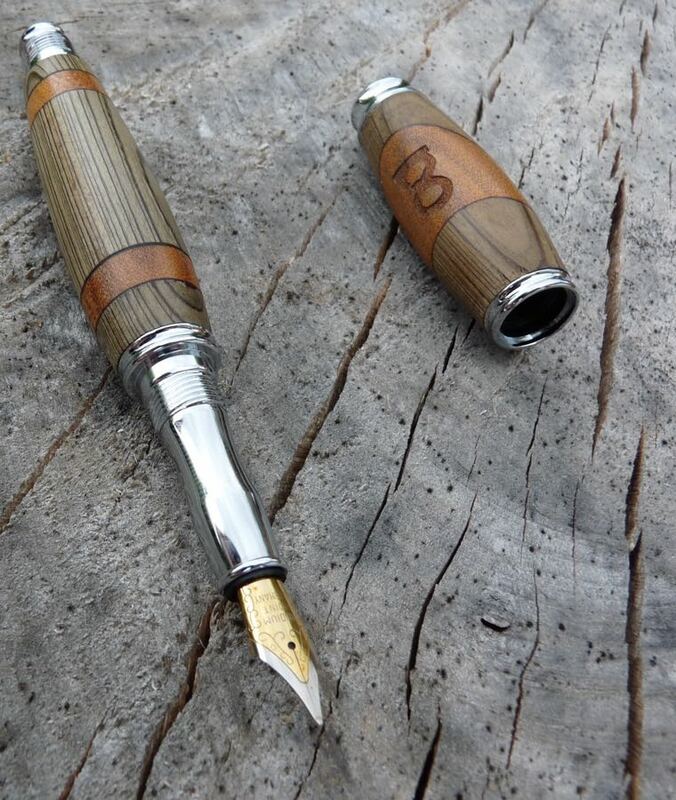 The Bard is a wood-barrelled fountain pen made by the Allegory Handcrafted Goods Company. 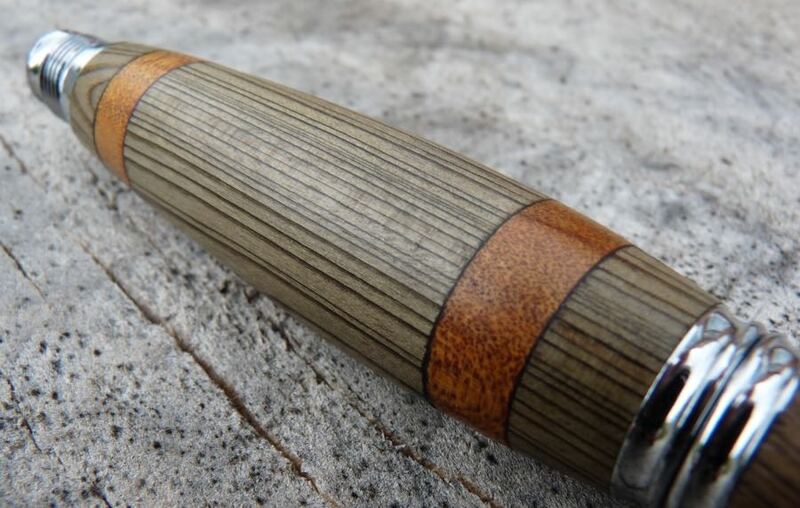 It costs $130 direct from Allegory but Massdrop, who sent me this pen to review, will be (or are currently, by the time this is published) offering the pen for a reduced price. This has been a very difficult pen to review. When I first opened the simple box that it came in I was incredibly impressed. The wood is stunning. 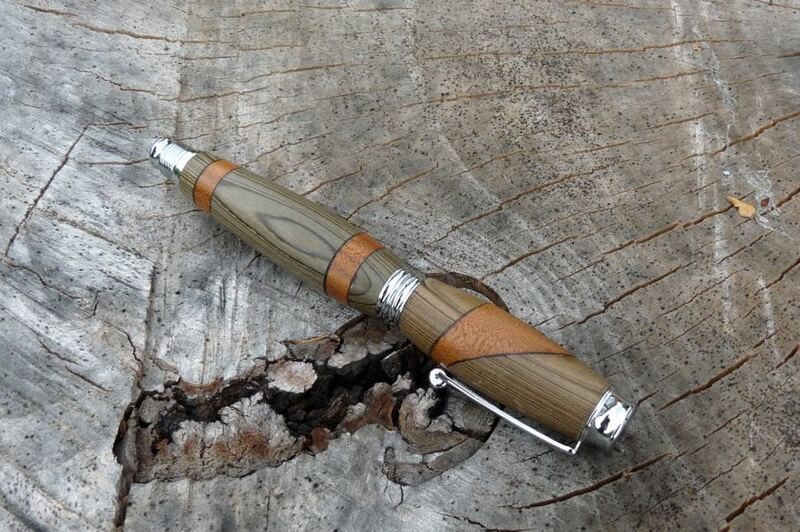 I’m drawn to wooden pens anyway, as long as they haven’t been treated too much. They’re a celebration of the beauty of the natural world. 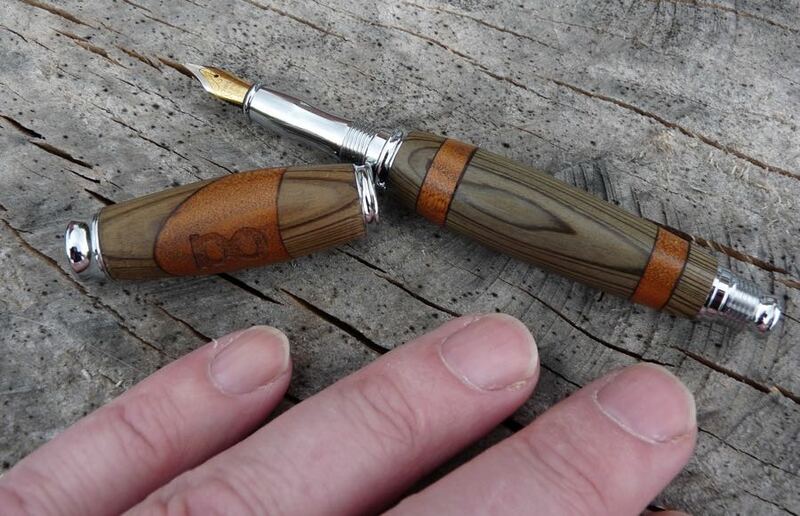 The wood the pen’s made from is really interesting, too, so it was all adding up to be a winner. The main barrel material is Sinker Cypress. About a hundred years ago, in the USA, cypress trunks were floated down rivers from the forests where they’d been cut to the mills where they’d be sawed into planks. Every now and then one would sink. Occasionally one of these would be covered in silt quickly and thoroughly enough to be preserved. They’re now recovered by divers and used in buildings, furniture and the occasional pen. That’s pretty amazing but the wood used for the inset is even more interesting. It’s called Ancient Kauri and is really rather old. About fifty thousand years ago an unknown natural event buried Kauri trees, already up to two thousand years old, and preserved them to this day. This wood is prehistoric. The wood is beautiful and fascinating and has been treated with respect by Allegory. 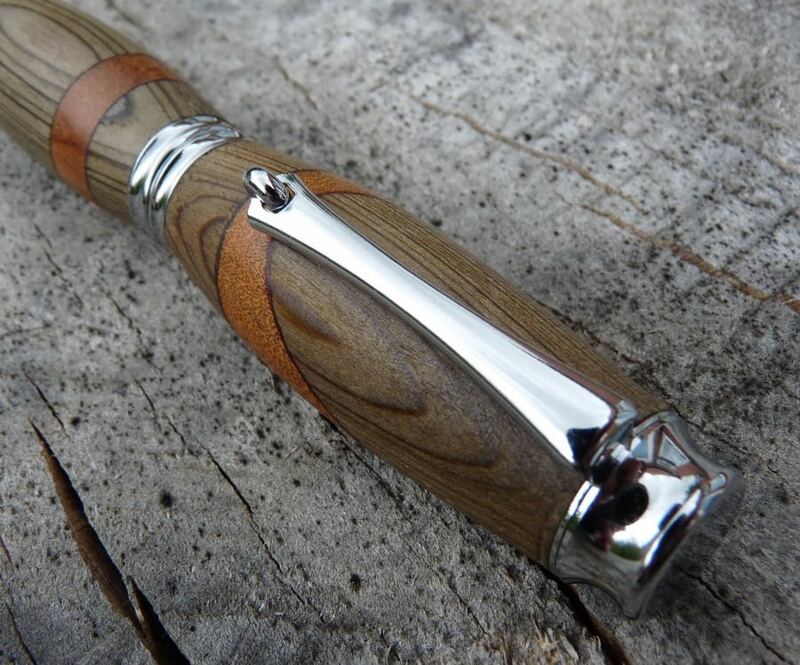 It’s a gorgeous looking pen. Sadly this love and care isn’t carried over to the hardware. The clip is sturdy but feels and looks cheaply made. The cap screws onto the barrel nicely but is hard to thread onto the end to post. The nib is a generic two-tone medium-only affair. The initial joy at seeing the pen was snuffed out by the hardware, particularly as the nib was very dry out of the box. The nib needed a good flush through but then wrote beautifully. It’s smooth and wet and actually turned out to be a pleasure to use. As long as you want medium, it’s a good little nib. As it’s a standard number 5 nib, there’s probably scope for swapping in another if you’re not happy with it (but I’ve not tried). For a pen at this price there really should be more options though. The pen comes with a converter and takes short international cartridges. The section is strange. It’s the longest slimmest section I’ve come across. I’m not a huge fan of the look (it looks a bit kit-pen-like) but it’s surprisingly comfortable to hold, even in my chunky hands. The pen is just about big enough for my hands unposted and is light and easy. Posted the pen is a little too long and top heavy, in my opinion. Overall the writing experience is good: the nib is pleasant and the pen is comfortable to hold. For me, the writing experience combined with the quality of the wood (the finish and the history) compensate for the disappointing hardware. I really enjoy this pen and I look forward to using it. It was a close call though. This is a pen with some compromises and you’ll need to decide if you’re happy to live with them. Massdrop very kindly sent me this pen to review. They’re always worth checking out as they have all kinds of deals on a very wide range of pens and related products. These are my very own personal opinions. You say it looks a bit kit pen like – isn’t it obviously a kit pen ? Probably but without knowing for sure I’m not going to say that. It is assuredly a pen kit. Looking at some of Allegory’s other offerings, they are buying at least some from Penn State Industries (The Click model is a Vertex pen kit). Not bad pen kits by any means, but you have to be pick and choosy as to what you get for pen kits. 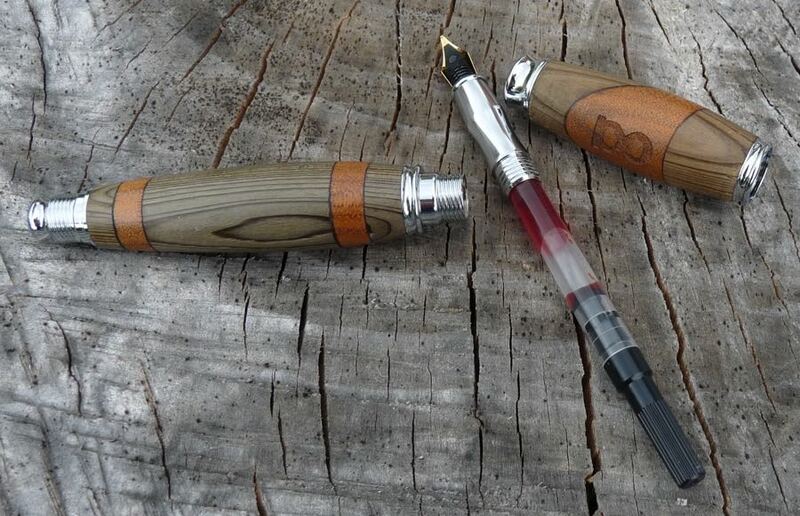 Nice looking pens and they will give me some great ideas for my pen turning.